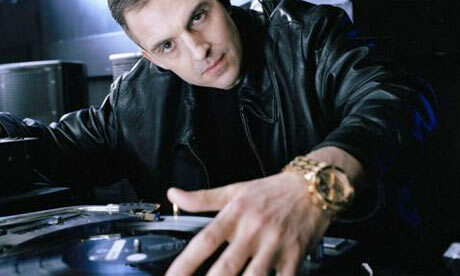 FROM THE INDEPENDENT Tim Westwood, the pioneering hip-hop DJ whose adopted “street” patois divided listeners, has been axed as Radio 1’s voice of rap after nearly 20 years on the station. The middle-class son of the former Bishop of Peterborough, Westwood, 55, was frequently mocked for speaking in the street slang of the largely black rap artists he championed. But the Sony Award-winning broadcaster also introduced generations of listeners to the latest developments in hip-hop and helped a new wave of British performers become stars in the US-dominated genre. His close relationship with hip-hop’s biggest names, from Public Enemy to Jay Z, who recognised the influence Westwood wielded over fans, delivered many exclusives for the BBC. Tim Westwood was the last DJ to interview Heavy D in November 2011. The interview was conducted just hours before his return trip to the U.S.following a tribute performance for Michael Jackson in Wales. Westwood’s agent said he was unavailable to comment as he was preparing to play a club show in Leeds on Friday night.